Width (side to side) 31"
Height (bottom to top) 60"
Depth (front to back) 12.5"
There's a place for almost everything with this versatile bookcase. 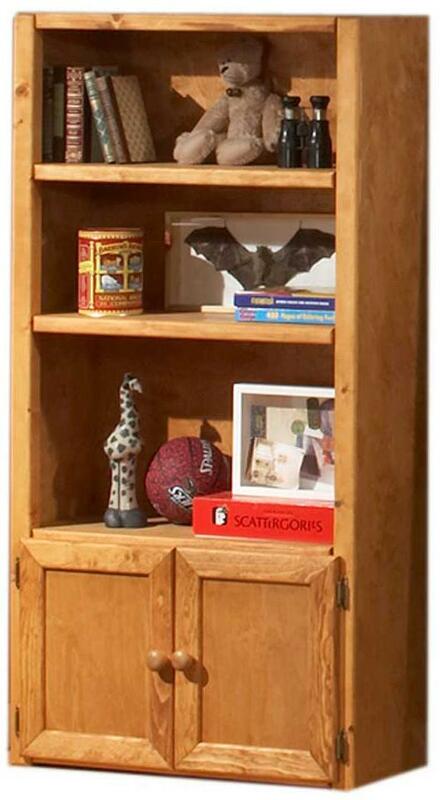 It features three top shelves above for books, toys, trophies, and other belongings with room below inside the two doors for additional items. 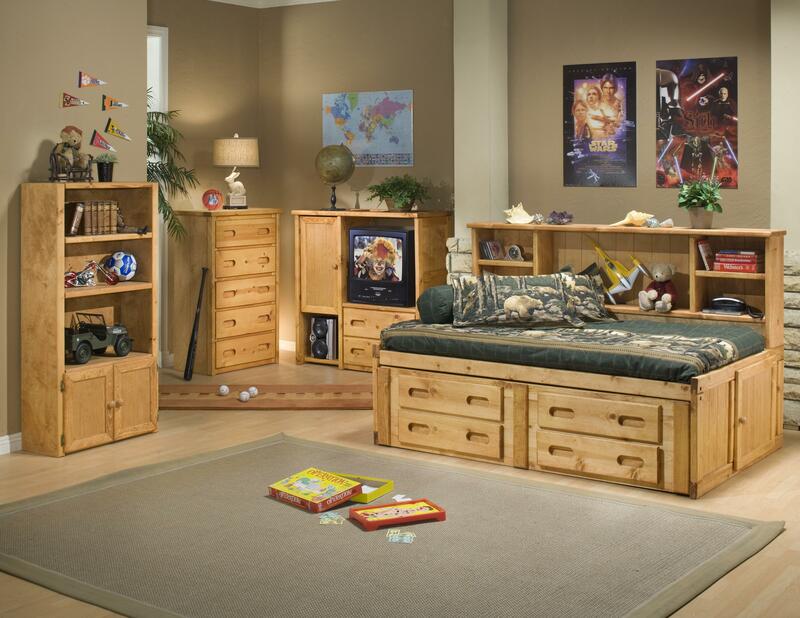 The Universal bookcase makes a great option for any youth bedroom to help keep organized. 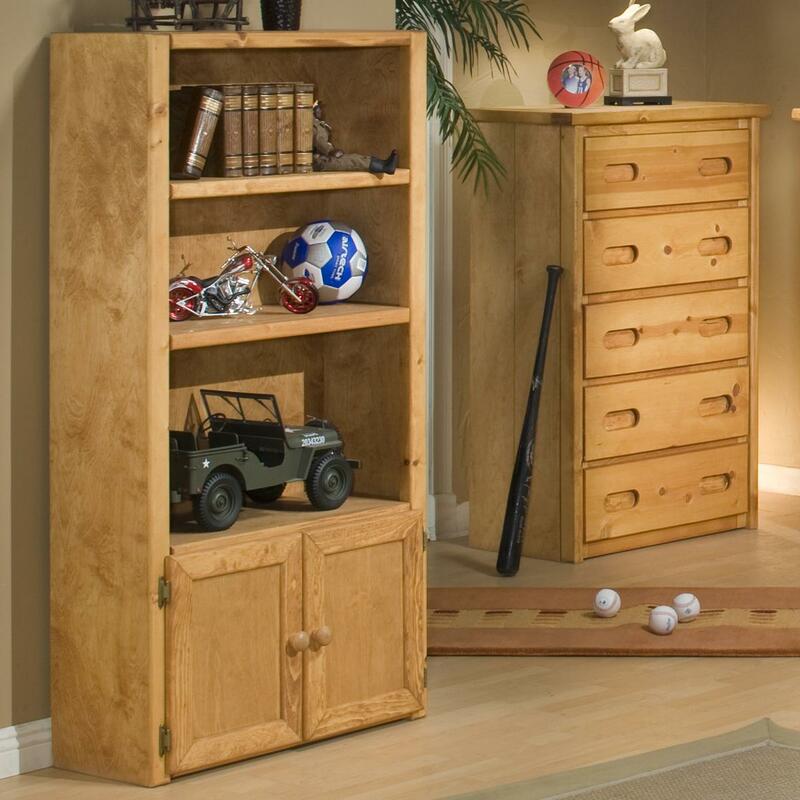 The casual style of the sturdy pine construction with versatile wood finish offers a great look.